Smithfield has been transformed into a hidden gem in recent years. The Dublin 7 suburb is home to some of the trendiest restaurants, cafes and bars in North Dublin at the moment, and it’s rapidly becoming one of the most sought after places to live in Dublin too. When McGarry Ni Eanaigh Architects completed the award winning urban design concept for Smithfield in 1999, it wasn’t feasible to complete it due to ongoing Luas works. The Smithfield Enhancement Scheme was put forward by the Dublin City Council at a cost of €4.8m and funded by the European Regional Development Fund. Some of the development included the construction of a platform in contemporary stone south of the Luas line, repaving the streets adjoining the plaza in historic paving sets, upgrading the public lighting and a new Dublin bikes station; provision of pop up power units and welfare facilities; remodelling junctions to provide an accessible route designed to facilitate tour buses; a new terrace area, planters and trees and the introduction of a state of the art play area. The work was completed in 2012 and has really put Smithfield on the map in Dublin. 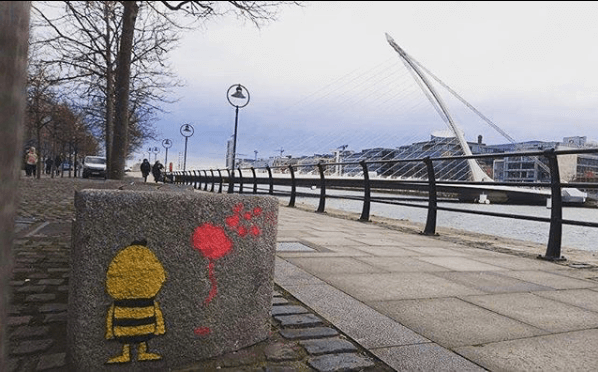 With Luas lines and bus routes going through the modern urban village, it’s never been easier to get to, and I’ve picked just a handful of places to check out if you can. The trendy BBQ joint is a must go for any meat lover. The place is always buzzing and out the door busy, which is always a great sign. For those of us ‘mainstream’ folk, try not to let the fact that the drinks come in jam jars, or that the staff insist on calling you ‘man’ and ‘dude’ cloud your judgement. Yes, it is hipster, but the food is damn good. So, the menu. You can get meat in a box, meat in a bun, or meat on a board. Choose between a cow, pig, or bird, or take my advice and go for a mixed board and sample the lot. In case you didn’t have enough meat, you can choose sausage as one of your two sides (please do it’s incredible) or you can get your usual corn, fires, beans, mash and coleslaw (although I think the hipsters call it ‘slaw’). You’ll get in and out for around the 20 quid mark and you’ll leave as full as a fool. The Generator is a hostel/bar and restaurant that is taking Europe by storm. They’re based in all the major tourist spots around Europe, including Barcelona, Berlin, Paris and London. The Smithfield branch is a really cool place to go for casual drinks and tasty food. Their burgers are up there with the best I’ve tried around Dublin and the place itself has a great atmosphere with people visiting from all around the world. It plays host to some of Dublin’s most exciting up and coming DJs and it’s an ideal spot to go for a few drinks and a few games of pool before a night out in Dublin. Only a few minutes’ walk or a short taxi, it’s exactly where you’d want to stay if you were visiting Dublin for a weekend with a group of friends. This cosy Bistro is probably the best brunch spot in Dublin. Famous for its full Irish and Eggs Benedict, it’s one of the best things Dublin 7 has to offer. It’s jam-packed every time I’m there and the same faces come back for more again and again. It opens for dinner Thursday-Sunday but the top-notch breakfast and lunch are available seven days a week. The down to earth staff make everyone feel welcome from a hungover group of lads to local families out for Sunday brunch, and even though it’s packed from the minute it opens at the weekend, there’s a fairly quick turn-around so you’re never waiting long. Jameson opened its old doors to the public as a tourist attraction in 1997 and receives up to 700,000 visitors every year. The distillery used to cover the whole of Smithfield square and the building now was originally the fermentation room which has been largely untouched since it opened in 1780. Although guests are largely non-Irish tourists, it does attract some locals too. The 45-minute tour shows the work that goes in to brewing one of the world’s best-selling whiskeys and the experienced tour guides take you from the opening process to the finished product. The blind tasting at the end provides a bit of fun as guests are asked to sample different brands and pick out the Jameson. It’s fairly inexpensive at €15 for what you get out of it too. Smithfield Market Fair is a monthly event of market stalls, installations, music and food offerings set in the Generator Dublin. But some months have specialised markets set up on a more regular basis. Every August and September there’s a weekly market which carries a wide selection of stalls selling Spanish foods, jams, cheese, olives, breads, fruit and vegetables, beauty products, jewellery and much more. You’re surrounded by an incredibly warm atmosphere as you stroll across the cobbled square and listen to a live acoustic guitar and take your time to look at the stalls. It’s not a bad place to find some quirky bargains either. The Generator Hostel is also home to one of the most unique Christmas markets around every year which is a great date our day out with friends or family. There are regularly surprise markets announced so keep an ear out for the next one and head along. You’re probably thinking a cinema is a cinema, and to be fair, you’re right. But I have to say I choose Lighthouse over the rest whenever I can. It brings a great crowd and people come in from all over Dublin for a slightly different cinema experience. As well as its unique and beautiful layout, it’s almost like a nice new bar before you go downstairs and remember where you are. If you like a drink with your other half before a movie, or during (nearly everyone brings in bottles of wine and beers) then this is the cinema for you. It has a great selection of wines and craft beers for the hipsters, and normal ones for the rest of us too. The fact that it’s only €7 for students all week is a nice added bonus as cinema prices throughout the country seem to be rising every week. They also have a great selection of smaller independent Irish films if you’re into that sort of thing, and regularly show old classics if you fancy a trip down memory lane. Keep an eye out for their themed weeks such as horror week at Halloween, Christmas specials in December, and cheesy rom-coms around Valentine’s Day. It’s perfect to wobble from next door after a belly full of Meat Wagon too or across the square from The Generator after a burger and a pint. There are so many more places that deserve a mention and I could write about extensively, Taste, Oscars, Bel Cibo, Third Space, Cinnamon and so much more. If you’re sick of eating and need to work it all off, Smithfield is also home to an excellent state of the art gym called 1 Escape, but that’s a whole other day’s work! Whatever you’re in to, Smithfield probably caters for it, just get down and have a look for yourself, you won’t be disappointed.